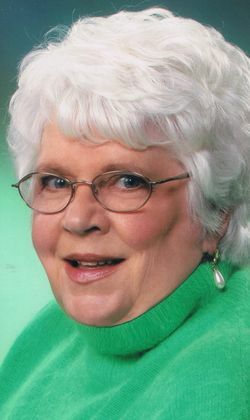 Dorothy Jean Ylatupa, age 84, longtime resident of Hibbing died Wednesday, January 23, 2019 at St. Luke’s Medical Center in Duluth with her loving family by her side. She was born November 24, 1934 in Grand Rapids, MN, the eldest of 14 children to Eino and Vienna (Karna) Kosola. She was a graduate of Hibbing High School and Hibbing Community College. Dorothy worked as an administrative assistant for L&M Radiator and Eveleth Taconite. She was a member of Blessed Sacrament Catholic Church. Dorothy was a member of the Red Hat Society, The VFW Auxiliary, and the Business & Professional Women’s Organization. She volunteered as a Sr. Citizen Companion, and helped to organize her class reunions. She enjoyed crafting, sewing, crocheting and embroidery. She loved working in her yard planting her flowers. One of her greatest joys was giving to others. Her last gift of giving was to the University of Minnesota – donating her body to help cancer research. Dorothy is survived by her daughters: Kathleen (Terry) Edmonds of Hibbing and Peggy (Roy) LaBrosse of Hibbing; grandchildren, the light of her life: Michael (Steffanie) Edmonds, Ryan (Michelle) Edmonds, Amy (Hector) Ortiz, Kelli (Scott) Hoffman, and Melissa LaBrosse; great-grandchildren: Matthew Edmonds, Christian Edmonds, Jacob Edmonds, Mason Edmonds, Hanley Ortiz, Kalliope Ortiz, Merrick Hoffman, Aubree Hoffman, and Vada Jo Hoffman; several siblings; and numerous extended family and friends. She was preceded in death by her parents; her son: Jame Ylatupa; and three brothers. Visitation will be from 10 am until the 11 am Memorial Service Saturday, February 2, 2019 at the Anderson-Daniels Funeral Home Chapel. Fr. Gabriel Waweru will be the officiant. Inurnment will be at a later date in the Hibbing Park “Maple Hill” Cemetery Columbarium. Family services are provided by Anderson-Daniels, a Bauman Family Funeral Home, in Hibbing. To express condolences on-line please see: www.baumanfuneralhome.com.